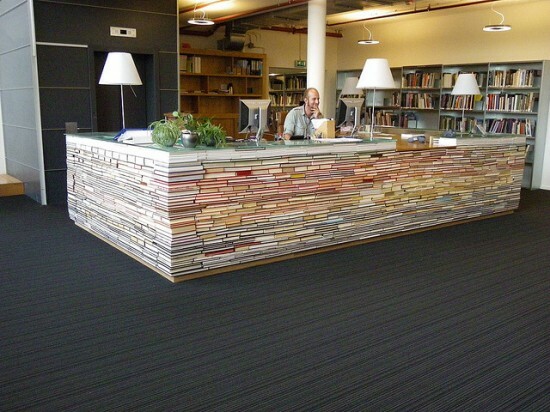 The Delft University of Technology library is attracting a lot of attention for its unusual reference desk. 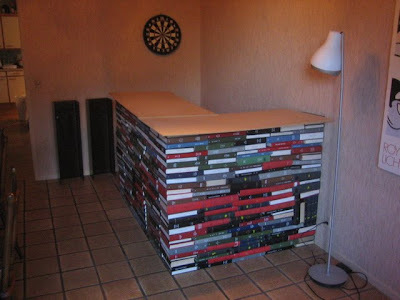 Made completely out of books, it's a fun and playful structure that, well, references its surroundings. But since original ideas are rarer than an honest politician, the university's desk is merely one pony in a multiple-horse race. 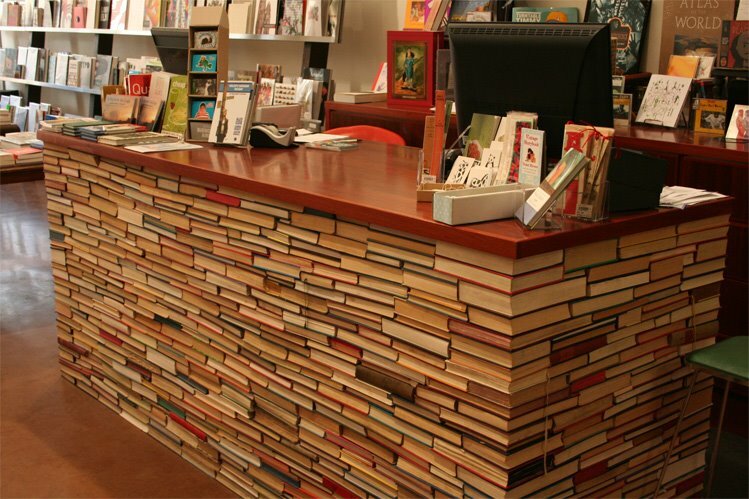 If you're ever in the Melbourne area, you should pop into Brunswick Bound and check out its book desk. 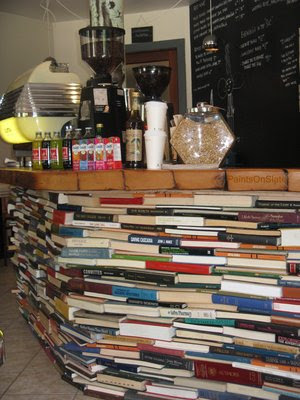 It may not be color-coordinated, but it wins serious points for its height. 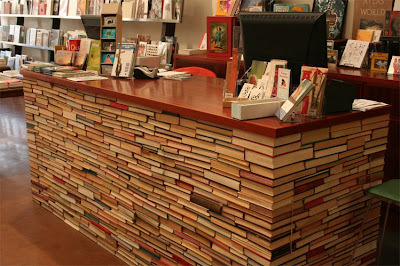 Although I disagree with the choice to go spines out here, I have to give the guys who built this thing props. 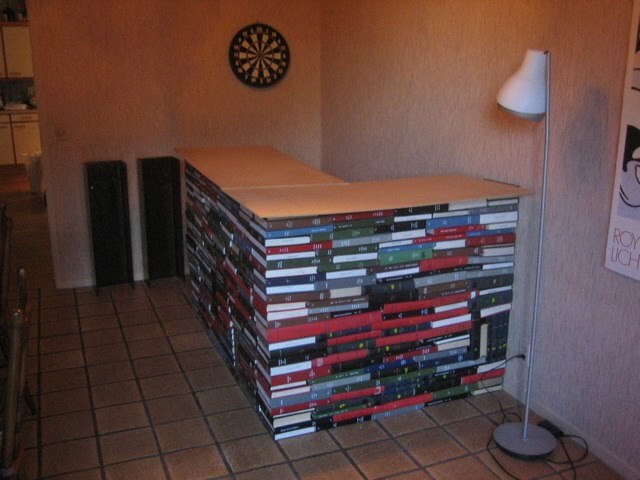 Not only is this deliciously nerdy for a home bar, but the books were rescued from the trash heap by a heroic Stanford librarian (and yes, the books were discards from Stanford's library that were earmarked for the landfill, which is just disgraceful).